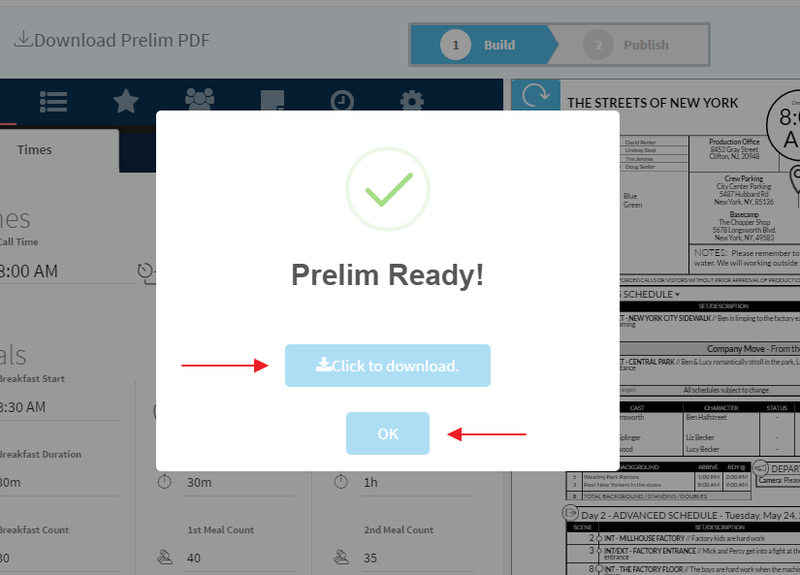 Start by clicking the “Download Prelim PDF” button at the top of the call sheet generator. It will take a moment for the system generate the prelim. When it’s ready the “Prelim Ready” dialog box will appear. If you click the “Click to Download” button it will download the prelim. If you click “OK” it will dismiss the prelim. NOTE: When you open the prelim PDF it will contain a “Prelim” watermark.